Aesop's Fables is a collection of fables written by a slave and story-teller who lived in Ancient Greece between 620 and 560 BC. Aesop's Fables are mostly short animal stories with each fable ending with a moral advice. His fables are some of the most well known in the world. 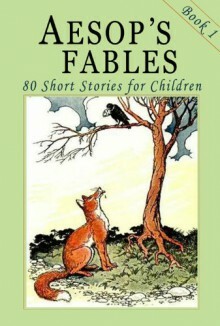 The fables remain a popular choice for moral education of children today. Many stories included in Aesop's Fables, such as "The Fox and the Grapes", "The Tortoise and the Hare", "The North Wind and the Sun", and "The Ant and the Grasshopper" are well-known throughout the world. In this first book of the series, there are about 80 fables written by Aesop and are heavily illustrated. These stories teach moral lessons, often with animals. It is a pleasure to publish this new, high quality, and affordable edition.